SEC Football Online helps football fans find out how, when and where to watch SEC football games live online. The SEC was established in December 1932, when 13 members of the Southern Conference left to form a new conference. Ten of the thirteen charter members have remained in the SEC since its inception. The remaining charter members include the University of Alabama, University of Florida, University of Georgia, University of Kentucky, University of Mississippi, University of Tennessee, Auburn University, Louisiana State University, Mississippi State University and Vanderbilt University. The SEC expanded in 1991 with the addition of the University of Arkansas from the Southwest Conference and the University of South Carolina, an Independent. In 2011, the University of Missouri and Texas A&M University, both former members of the Big 12 Conference, joined the SEC. 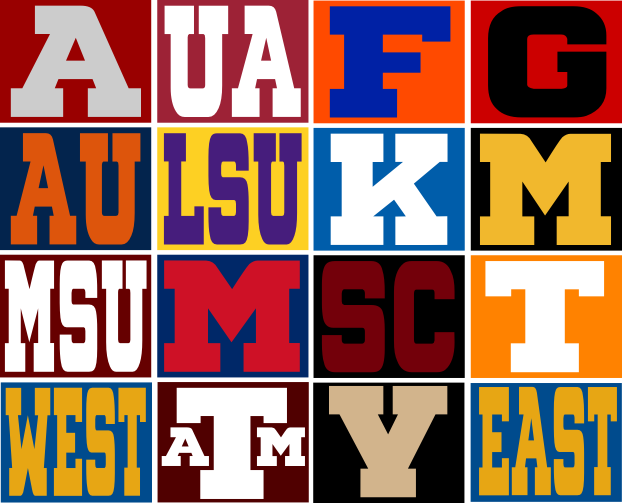 The Southeastern Conference is divided into the East Division and the West Division. The two regular season division champions play each other in the SEC Football Championship Game every December. The winner of the SEC Football Championship Game receives the SEC’s automatic bid to play in the Sugar Bowl unless invited to play in the College Football Playoff National Semifinal Game when held away from the Sugar Bowl. SEC Bowl Game tie-ins include the Sugar Bowl, Citrus Bowl, Orange Bowl, Cotton Bowl, Outback Bowl, Peach Bowl, Gator Bowl, Texas Bowl, Music City Bowl, Liberty Bowl, Independence Bowl and the Birmingham Bowl. We go to great lengths to get the most up-to-date online broadcasting schedules from all of the schools. Feel free to explore our website to learn more. Find out when and where your favorite SEC football team plays with our SEC Football TV Schedule. Each weeks SEC football games are updated along with game time and channel. Find out how, when and where to legally watch SEC football games online. SEC Football Online should be your first stop to find the official live SEC football game streams. The SEC Network broadcasts live streaming SEC football games online and exclusive SEC digital media content twenty four hours a day, seven days a week. You can also watch SEC Network Alternate online when the big games happen to kickoff at the same time. Get thousands of live SEC sporting events at SEC Network Plus online. We are not affiliated with the SEC or any of its member schools. Click here to visit the official website of the Southeastern Conference.